There are several interesting facts that everyone should know about gorillas. While some are just unique information, they are still worth learning! Gorillas are not monkeys. Many people wrongly think they are, although all are primates, monkeys have tails and great apes such as gorillas do not have any at all. Gorillas are apes, not monkeys! Are they Carnivores? Nope, regardless their large teeth, they have a fundamentally herbivorous diet, although sometimes they consume small invertebrates. There are only two species of gorilla: the western gorilla and the eastern gorilla. Each of these gorilla species has two subspecies. Therefore, there are four subspecies. 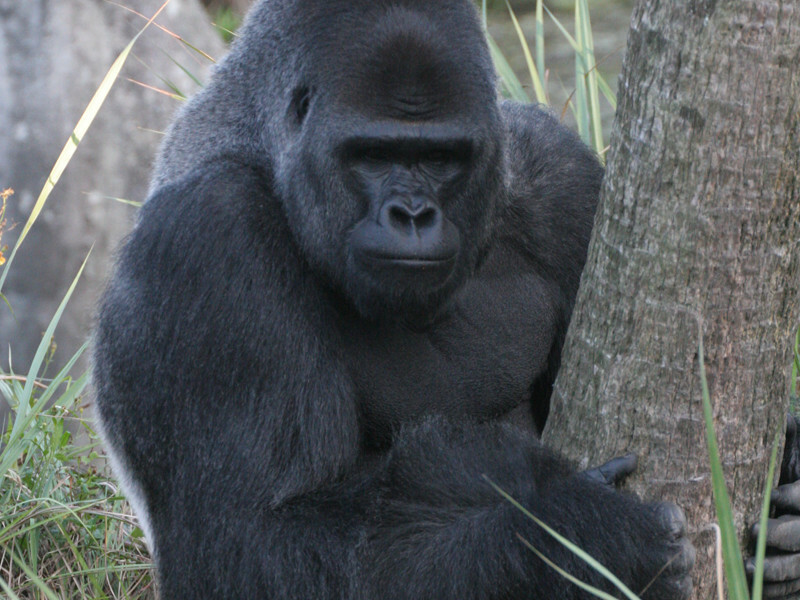 The Western gorilla has the western lowland gorilla and the Cross River gorilla subspecies. 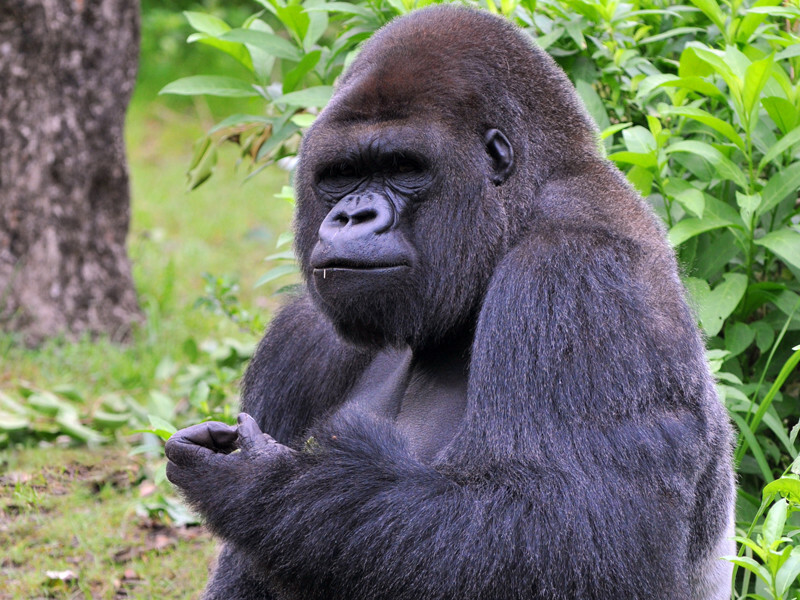 The Eastern Gorilla has the mountain gorilla and the eastern lowland gorilla subspecies. Contrasting the common concept we have of them, they are not aggressive and have a peaceful and timid personality, but they can become very aggressive if they feel someone in the group is jeopardized. They’re the largest of all primates in the world. After The common chimpanzee and the bonobo, Gorillas are genetically the closest relatives to humans. The Leader of a social group is the silverback male, named after the silver patch of hair on his back that appears when they are mature. “silverbacks” typically have more than 12 years. The life expectancy of gorillas is between 35 and 40 years in the wild. In captivity, they can reach or exceed 50 years. Gorillas walk on their knuckles. Typically they move on their arms and legs, although they can stand up and walk on two legs short distances up to 3 meters. Blackbacks is the name given to the young males of a group that still do not have the silvery hair patch on their backs. The Gestation period of gorillas is 8.5 months, very similar to the human gestation of 9 months. An adult male gorilla consumes approximately 18 to 20 kilos of food every day, which represents the 10 percent of its weight. Gorillas are polygamists; therefore, an individual can mate with several others over the course of his life. However, in a group, only the “silverback” leader can mate with the females. The oldest gorilla on record is a female named Colo, who lives in the Columbus Zoo and Aquarium. She was born in 1956, so now is reaching 60 years. The western gorilla fur often shows brown or reddish tones. The western lowland gorilla (Gorilla gorilla gorilla) is the most common subspecies found in zoos. Every individual has unique fingerprints, just like humans. All Gorilla subspecies are endangered, but the Cross River gorilla is the most threatened. According to the IUCN red list of endangered species, there are less than 200 individuals. Gorillas are diurnal; this means that they perform most of their activities during the day such as feeding and socializing. The major threats that gorillas face are the loss, reduction, and fragmentation of their habitat, poaching, infectious diseases and armed conflicts in the places they live. Martha M. Robbins, Pascale Sicotte, Kelly J. Stewart.